A personal umbrella policy provides coverage for claims over and above the limits afforded by your existing auto, homeowners, ATV or watercraft policy. Your auto, homeowners, ATV or watercraft policies will give you protection for bodily injury and property damage, or both-but only up to your policy limits. Beyond that, you would be responsible for paying the excess amounts for which you are liable. That excess amount could be several million dollars. You are protected against claims that may not be covered by your underlying policies for homeowners, auto, ATV or watercraft liability coverage. You are covered for defense costs and attorney fees associated with the claims against you that are covered by your Personal Umbrella policy, but not by your primary policies. A personal umbrella policy coverage limits start at $1 million and higher limits can be requested. These expenses are paid in addition to your policy limit. 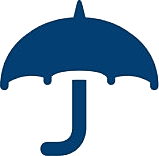 Umbrella liability coverage starts where your current auto, home or other insurance policy coverage ends. Let’s say you’re in a car accident and are sued for $1 million. If your existing auto policy covers up to $500,000 in liability per occurrence, that leaves $500,000 remaining. That’ll definitely impact your long-term dreams. But fortunately, you were savvy enough to purchase an umbrella insurance policy with a $1 million liability limit, which will cover the remaining $500,000. Imagine if your dog were to bite a neighbor's child. Or if there's an accident on your rental property. Or a fire in your condo spreads to other units. What would happen if you or a family member missed a stop sign and struck and killed a pedestrian? If any of these unfortunate things happened to you, there's a good chance your current liability limits wouldn't be adequate to protect your assets—or your future earnings. How do I add umbrella insurance to my current coverage? The best place to start is to take a look at your existing auto, homeowners or other insurance to understand the dollar amount that your current policies cover. Then you’ll want to contact your insurance agent, who will help you determine how much of an extra layer of coverage is right for your situation.